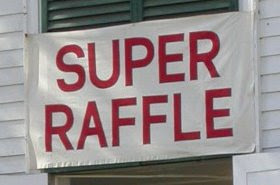 The Super Raffle is one of the most popular events at the Newfane Heritage Festival. In 2018, there were over 165 prizes in the raffle, including items donated by local businesses such as gift certificates for fine dining, casual dining, auto repairs, garden supplies, and many more. Individuals may donate their personal art work, handicraft, latest novel, or treasured artifact. Many of the artists and crafts people displaying on the Common donate pieces of their work to the raffle. The prizes are different every year, but there are always unique items in the Super Raffle. Tickets are sold 3 for $1.00, or 20 for $5.00. Many people buy many more than 3 tickets, or more than 20 tickets. Then they wander among the tables examining the prizes, and dropping their tickets in the cans numbered for for each prize. 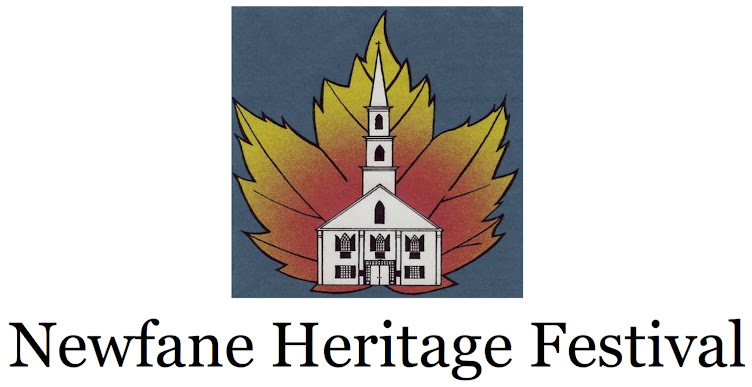 Drawing for prizes begins when the rest of the Heritage Festival ends - at 4 pm on Sunday. Many people gather on the lawn outside of Union Hall and await the announcement of the winners. No one will know for sure what the prizes will be in 2019 until the doors open on Heritage Saturday at 10am. Come and see what's in Union Hall ! !